I suffer from quite tired looking eyes with dark shadows that dont help to brighten my mornings. This is why I was so excited about the brand new Estée Lauder Eye serum, a new product to the famous Advanced Night Repair range. 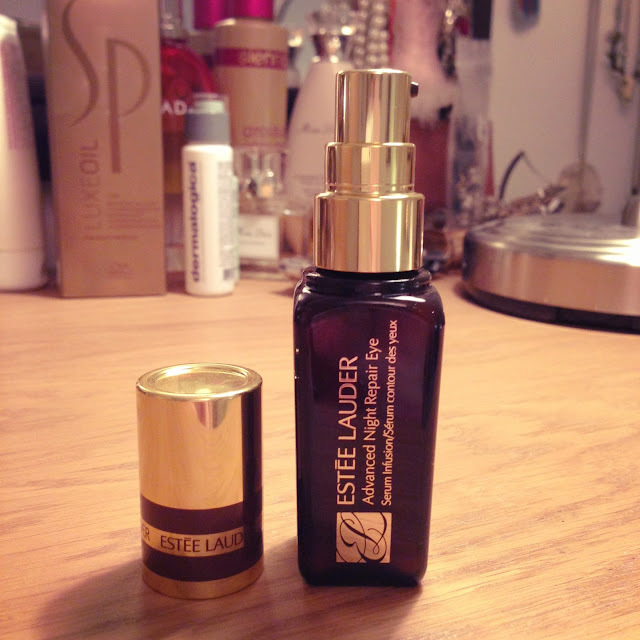 I apply the serum before bed, gently smoothing it onto my under eye and around my eye to my eyelid. 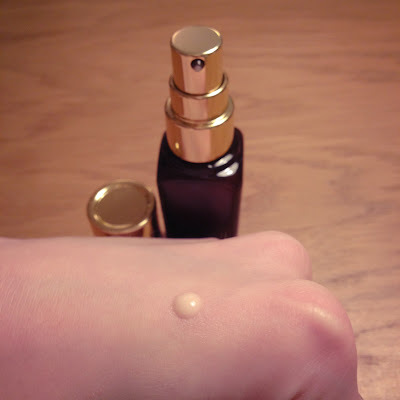 The serum is a medium consistency, not thick but also not completely liquid and runny. 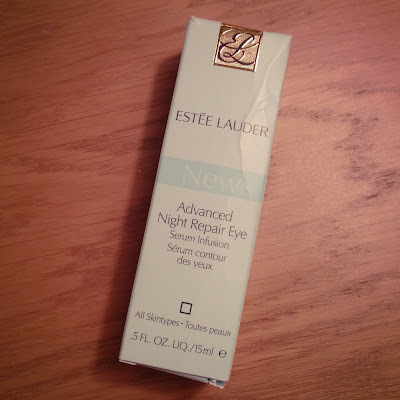 Because of this you can apply a bit onto the end of your finger and then dab it onto your under-eyes carefully. The serum is supposed to reduce wrinkles, puffiness, dark shadows and repair the signs of ageing from your eyes. Although I cant say much about the wrinkles (i hope), I have noticed that my under eyes do feel more hydrated and lighter in the mornings after using the serum. It seems to have added some life and moisture back into the area and my under-eyes now blend more into the rest of my facial skin. I love using this in the evenings before bed and it has now become a part of night time skincare routine. It is rather pricey, but recently I’ve been thinking it is essential to spend a bit more on skincare if it means your skin will stay incredible throughout your life. Eye creams and especially serums are supposed to be a staple in your skin care routine, so I think I may have found my new staple. I would love to know your thoughts on this. Do you use an eye serum? What do you think?